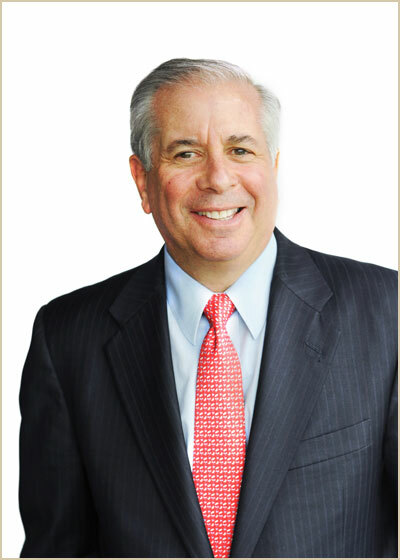 Howard J. Rosen is President of RS&F and a shareholder of the firm since its inception in 1979. Throughout his career, Howard has been responsible for developing a wide variety of successful business plans for middle market companies throughout the Mid-Atlantic region of the United States. His vast experience includes consulting with a number of major corporations to position them for growth. RS&F has represented White House/Black Market (sold to Chico’s), NeighborCare Pharmacies (sold to Genesis Health), Under Armour (early stage financing and consulting) and Telespectrum, Inc. (roll-up for public offering). Howard oversees the day-to-day operations of RS&F and directs its business consulting division. His responsibilities include strategic business plans, merger and acquisitions, marketing studies, capital formation, human resource studies, organizational structure, and operation reviews. Mr. Rosen has expertise in a variety of industries, including real estate, manufacturing, distribution, mortgage lending, and retail. Howard has a long history of community service that includes serving on the board of numerous companies. His current board positions include Maryland Public Television, CFG Bank’s Advisory Board, and Towson University Foundation. A Certified Public Accountant (CPA) as well as a Certified Global Management Accountant (CGMA), Howard received his Bachelor of Science in Accounting from the Merrick School of Business at the University of Baltimore. Howard’s professional affiliations include the American Institute of Certified Public Accountants, Maryland Association of Certified Public Accountants and CPA Associates International, Inc.